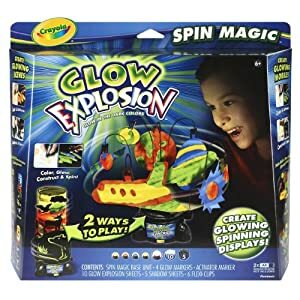 Crayola Glow Explosion Spin Magic - $3.99!!! The Crayola Glow Explosion Spin Magic has been marked down to just $5.99 (was $29.99). Don’t forget you can sign up for the Amazon Mom Program for FREE and get free 2 day shipping on ANY purchase.